This is the symbol for Taurus. It’s such an innocent looking glyph, isn’t it? 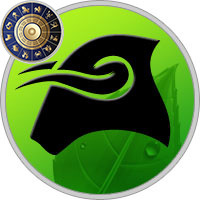 In truth, there are a lot of ways to interpret this symbol. Most obvious is the likeness of a bull. Taurus is the bull of the zodiac, and it’s glyph represents this magnificent creature. The circle is the face, the protrusions from the circle represent bull horns. Strong, determined, focused and sometimes stubborn, the bull is a great symbol for Taurus. If you’ve dabbled a bit in astrology, you know that all things are connected. Tug on one thread, and it inevitably wiggles the weave someplace else in the tapestry. I mention this because even though we’re talking about sun-signs, the Taurus glyph is reminiscent of lunar symbolism too. Consider the circle, which represents the full moon. This is symbolic of attainment, achievement, completion...qualities Taurus folk really get jazzed about. The "horns" atop the full circle represent a half moon. This is symbolic of what you might expect... half-complete, not-quite-finished, or a halfway mark on the road to completion. Most Taurus’ don’t mind half way marks on the journey, but they usually don’t take setbacks well. From a symbolically lunar perspective, the glyph represents making peace with the progress required to get to the end-goal. That includes delays, disappointment and setback. In this light, the lunar-affiliated glyph encourages acceptance with all phases of attainment. Earth: As mentioned, Taurus is intimately linked with the earth, and all their energies. Many Taureans exhibit this connection, from gardening, to appreciating the finer side of materialism. Earth is the essence of grounding, and Taurus’ feels best when they are on level ground. Risks, unknown’s, doubts and fluffy intangibles are often unsavory factors for the Taurus. These earthy folk like rock solid facts. They want concrete proof. Tareans, like their earth element, can be unmovable. Moving a Taurus to make a decision they are not 100% sure about is like moving a mountain - it just ain’t gonna happen. I love how the earth element influences Taurus’ personality. Because earth is such a touchy-feely element, Taureans tend to like tangible stuff too. I remember shopping with a group of friends of mine. Being me, I knew all their sun-signs. It was particularly interesting to watch my Taurus friends shop. They touched everything! Smelled everything! Tasted everything! And they absolutely relished all the physical sensations. That’s the earth influence. Poppy: The symbolic meaning of poppy is linked with exploration of the senses. This is a classic marriage with Taurus’ bright ability to get intimately tactile with their environment. The poppy is a reminder to immerse our senses in the beauty that waits for us in every inch of this world. 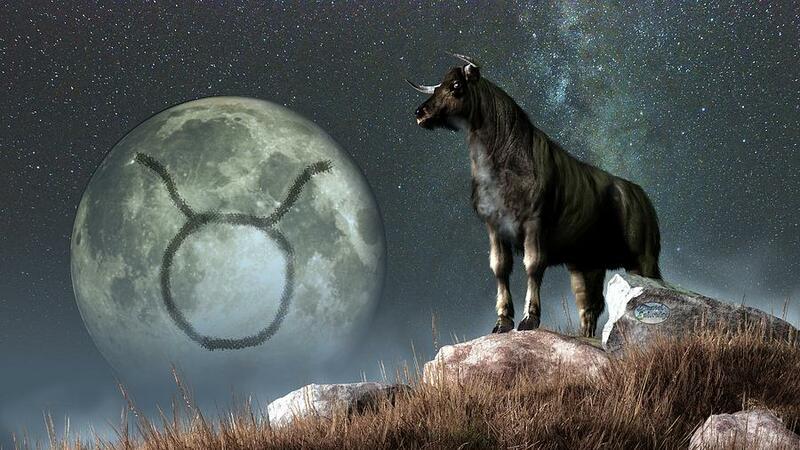 Taurus has a natural ability to "contact high" from the loveliness around them. Often, they find pleasure from the most unique things, and find satisfaction from the little things in life. A great cup of coffee. A well-made soap. Fresh, high-quality bed sheets. Things sometimes people take for granted, a Taurus will revel in the quality of these things/situations. Poppies are a metaphor for that. Their lives in the garden are fleeting, so they take advantage of the conditions they have and flourish in the goodness they’ve got. Emerald: Emeralds come in many different colors, but the most common hue is green. Green is a Taurus-affiliated color because it mimics the grass, trees - the very earth they are so connected with. Green is also a money color, and Taurus knows about money. Many Taurus have the gift of money-management. Most Taurus also know the value of money and materials. Emeralds will enhance these qualities, while also affording an essence of balance. In other words, emeralds will allow a Taurus to appreciate material gain, while not become obsessed with it. Bull: If you’ve ever seen a bull in real life, you may have noticed a fixed quality in his demeanor. That’s a Taurus trait for sure. Solid, focused, strong. Bulls are also symbolic of provision and service. They have a long historical history of helping in agriculture, as well as providing sacrifice in ancient ceremonies. Taurus is in their element when put in a position to help and serve. If they feel they are helping to make lives better, then they are genuinely satisfied. This is especially true if a Taurus is striving to help their family and friends too.